Our attitude to innovation is very simple and is based on the inspiration taken from different branches, in this case – from the world of windsurfing, skateboarding and snowboarding. To meet the expectations of customers we have entered into cooperation with the best designers of surfings in the world – the Pacific Surf Design company. We present an attraction which will be a key to popularity and the profits of Polish aqua parks. 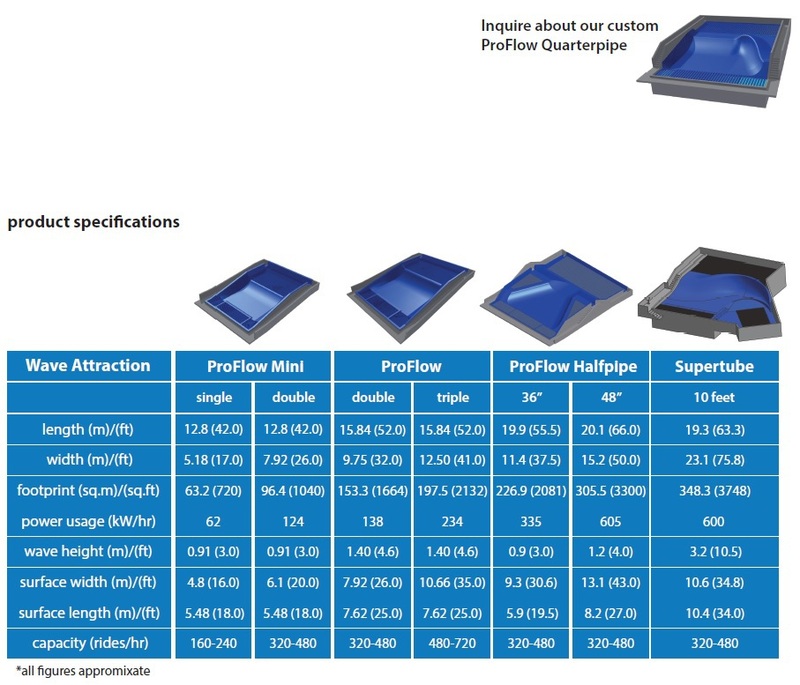 Currently in our offer we have four types of surfing simulators: ProFlow Mini, ProFlow, ProFlow Quarterpipe and ProFlow Halfpipe. We can flexibly adopt each of them to dimensions of the available space.